Cost: $5 cash admission fee at the door. All proceeds go directly to Hannah’s Hope Fund. River Stone Manor offers you the opportunity to see just how beautiful our ballroom will look on your special day. 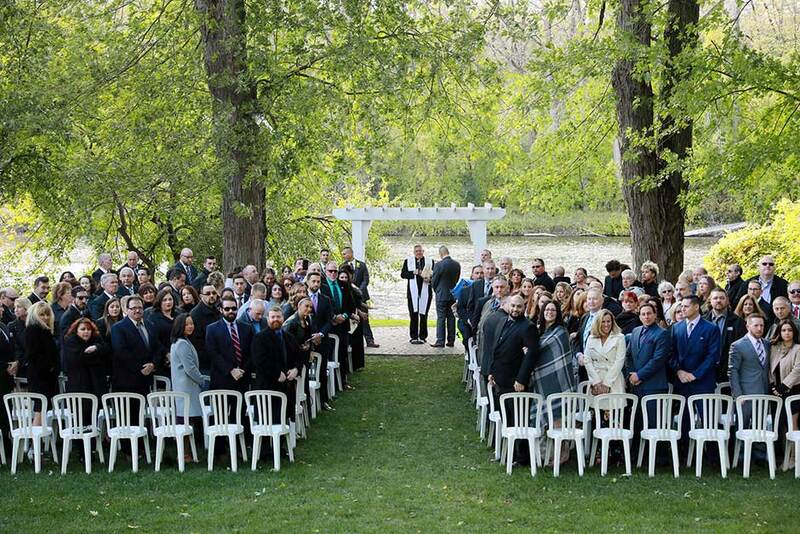 Tour the 150 year old Manor House, see and feel the warmth that the House offers our brides as they prepare and dress for their wedding ceremony that is going to be held on the banks of the Mohawk River. Sample hors d'oeurves in our mock cocktail hour offering wine, champagne, and craft beer tastings. See incredible centerpieces and table scapes designed by Experience & Creative Design and Felthousen’s Florist. Gorgeous linen options will be provided by Table Cloths for Granted. Baileys Tent Rentals will have beautiful options of farmers tables, chiavari chairs and more. Don't forget to indulge in Gourmet Confections decadent sweets. Connect with some of the best wedding professionals the area has to offer. Enjoy your time to have a one on one conversation and learn what each professional has to offer. We invite you to become part of our heritage of love and success, family and tradition that River Stone Manor is known for. Register today for a chance to win a $500 credit toward the wedding of your dreams in our facilities.